The Ugandan Government and Uganda Scouts Association are hosting the International Scouts Centenary Jamboree from the 18th to the 25th of August 2015 at the Kaazi National Scouts Campsite on the shores of Lake Victoria in Uganda. SSA members aged 10 to 26 are invited to the event. The participation fee per person is UDS 250.00 which includes food and all inland transportation related to the Jamboree activities. Participants are required to bring their own tents. All additional costs such as flights, visa’s, etc… are for your own accord. If you are interested in attending send your contact information to the international committee before 16h on the 30th January 2015. 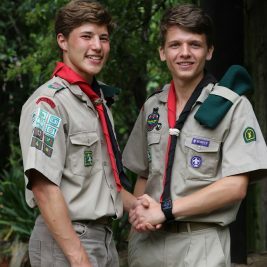 Email to: info@scouts.org.za. 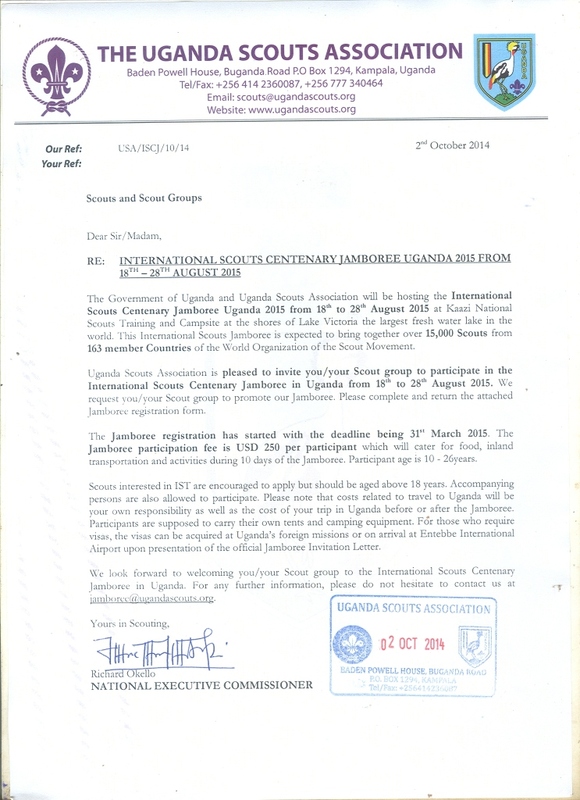 Subject line: “International Committee – Uganda”.